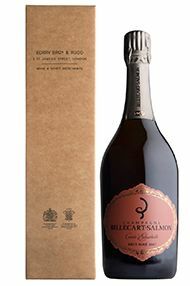 The Wine Advocate - Created in 1988 as a tribute to one of the houses founders, Elisabeth Salmon, Billecart-Salmon's iconic 2007 Millsime Brut Ros Cuve Elisabeth displays a beautifully radiant, shimmering orange-salmon color. 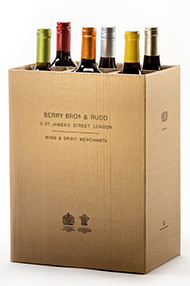 The bouquet of this Pinot Noir/Chardonnay blend is as intense as it is delicate and vinous, displaying red and yellow-fleshed fruit intertwined with floral, chalky and citrus notes as well as a noble sur lie character. Round, lush and delicate on the palate, this is a highly elegant, charming, beautifully balanced ros with great finesse and amazingly fine grip on the long yet pure, tensioned, well-structured and stimulatingly salty finish. This ros Champagne is close to perfection! A small percentage of the Pinot Noirfrom old vines in the south-facing Valofroy parcel in Mareuil-sur-Awas vinified as red wine and added to give this unique color and vinosity. The other Pinots are sourced in the grand crus Verzenay and A, and the Chardonnay comes from grand crus in the Cte des Blancs, namely Chouilly, Avize and Mesnil-sur-Oger. Tasted in November 2018, from lot L 298A826 46572 that was disgorged in May 2018.